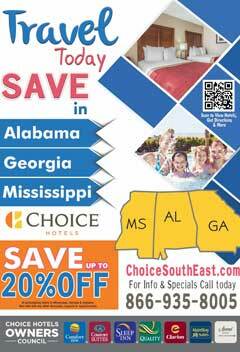 Find the best hotel deals with Free Hotel Coupons for discounts across Santa Rosa Beach, FL. Choose an Santa Rosa Beach, FL hotel from the list below. Once you have chosen a hotel, we will show you the best deals we have to offer with hotel information, photo slide show and cheap hotel room rates. You can print our FREE Santa Rosa Beach, FL hotel coupons in advance or some advertisers have the option to share the hotel deals by e-mail or text the hotel coupon to your mobile phone. Be sure to print several hotel deals along your route or destination area for more options when choosing your hotel. You can always call the hotel in advance to check the "FreeHotelCoupon" coupon rate in advance. Make FreeHotelCoupons.com your first choice in finding hot hotel deals!